My father-in-law keeps encouraging us to buy a car in the U.S. because the prices are so much better. He’s right. 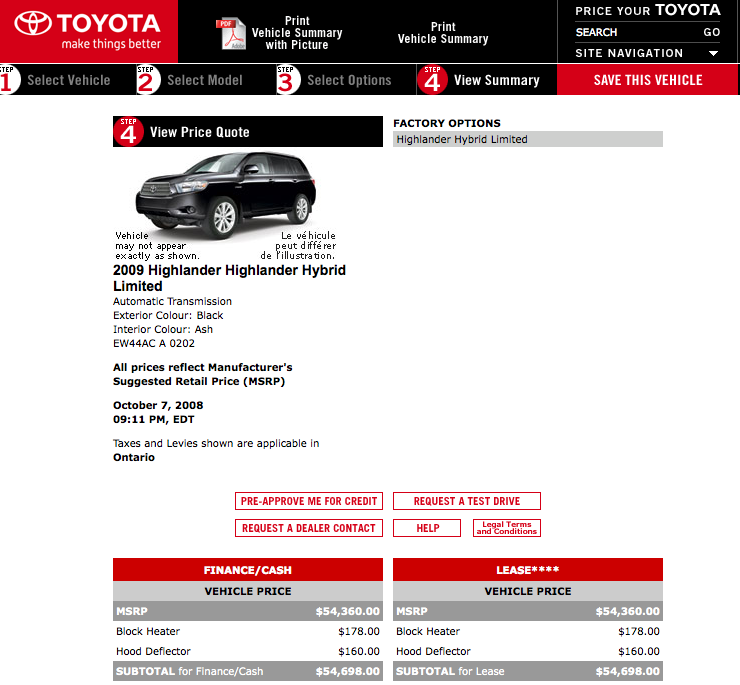 I just priced out the Highlander Hybrid Limited in Canada (through a friend’s dealership) to compare against the U.S. version I posted yesterday. The price difference is about $10,000. That’s substantial. Here’s a screen shot from the Toyota Canada site.